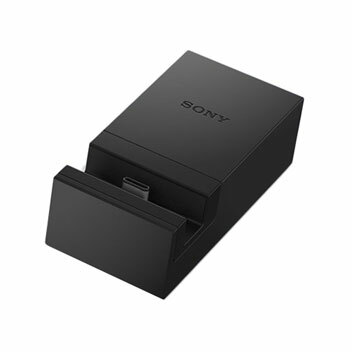 Dock and charge your Sony Xperia XZ Premium, XA1 Ultra and other Sony Xperia USB-C smartphones with the hassle-free DK60 USB charging dock by Sony. Perfect for use at your desk or your bedside table, the DK60 is stylish as well as being extremely useful. Does the job its designed for! Works like it is meant to and well worth the money for an official one from sony :D happy customer here! I was looking everywhere for these dock. A secure and fast charging USB-C connection enables you to effortlessly dock and charge your Sony Xperia smartphone. Rigorously tested, the DK60 provides you with safe charging thanks to the numerous safety checks and procedures it has gone through in order to guarantee perfect charging every time. 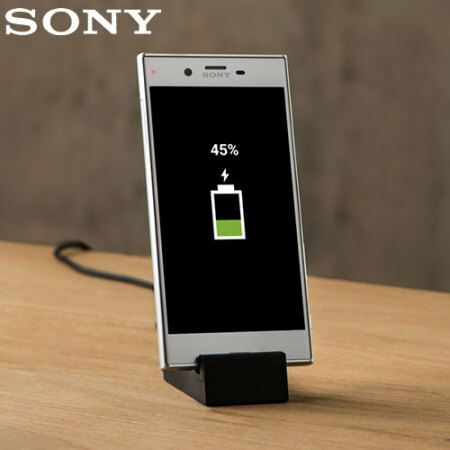 Compatible with a wide range of Xperia devices including the Sony Xperia XZ Premium and Xperia XA1 / XA1 Ultra, the DK60 can keep your devices charged effortlessly. This strong connection will support your phone throughout charging, holding it in place. 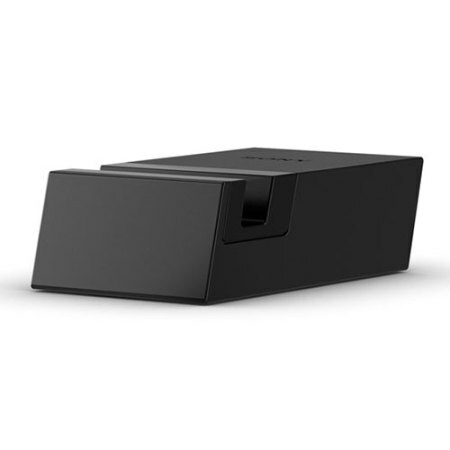 While your phone is charging, it stands at a comfortable viewing angle. You can be checking messages, browsing content or watching movies. Your Xperia smartphone with USB-C port is stable and secure in its dedicated charging dock, allowing you to make the most of your handset at all times. Interchangeable inserts in the kit make it possible to use this dock with your Xperia smartphone with a slim cover attached or without, offering you maximum flexibility. Designed by Sony for your Xperia, so you can be sure that this product is of the highest quality - suited to your high-quality handset. Please note: cable not included.